Host Jeff Goldsmith interviews co-writers/co-directors Pat McGee & Adam Linkenhelt about their documentary, American Relapse. In a flashback episode, host Jeff Goldsmith interviews co-writer Christopher McQuarrie about Valkyrie. Host Jeff Goldsmith interviews writer-director-star Eden Marryshow about his feature film, Bruce!!!. Host Jeff Goldsmith interviews director Joe Sill about his debut feature film, Stray. Join host Jeff Goldsmith to tune into the 2019 WGA Awards. Copyright © Unlikely Films, Inc. 2019. All rights reserved. Host Jeff Goldsmith interviews writer-director Paul Schrader about Oscar nominated screenplay First Reformed. Host Jeff Goldsmith interviews co-writer Joe Robert Cole about Black Panther. Host Jeff Goldsmith interviews co-writer/director Rodney Rothman about Spider-Man: Into the Spider-Verse. Host Jeff Goldsmith interviews co-writers Bryan Woods & Scott Beck about A Quiet Place. Host Jeff Goldsmith interviews writer-director Bo Burnham about Eighth Grade. Host Jeff Goldsmith interviews co-writers Phil Hay & Matt Manfredi about Destroyer. Host Jeff Goldsmith interviews writer-director John Hamburg and co-writer Ian Helfer about Why Him? Host Jeff Goldsmith interviews novelist and screenwriter Patrick Ness about A Monster Calls. Host Jeff Goldsmith interviews directors Ron Clements & John Musker plus screenwriter Jared Bush about Moana. Host Jeff Goldsmith interviews writer-director Jeff Nichols about Loving. Host Jeff Goldsmith interviews debut writer-director Kelly Fremon Craig about The Edge of Seventeen. Host Jeff Goldsmith listens in as actor Elliott Gould discusses his classic film MASH at the 2016 TCM Film Fest. Host Jeff Goldsmith interviews co-writer-producer Joshua Beirne-Golden and co-writer-director Justin Tipping about Kicks. Host Jeff Goldsmith interviews actor-producer Adam Pally, actor Nick Kroll and Writer-director Jeff Baena about Joshy. Host Jeff Goldsmith interviews screenwriters Christopher Markus and Stephen McFeely about Captain America: Civil War. Host Jeff Goldsmith listens in as actor-moderator Alec Baldwin interviews actor Angela Lansbury about The Manchurian Candidate. Host Jeff Goldsmith interviews director Eric Zala and actor Chris Strompolos about their wild Raiders of the Lost Ark Adaptation. Host Jeff Goldsmith interviews screenwriter-producer Simon Kinberg about X-Men: Apocalypse. Host Jeff Goldsmith listens in as TCM Host Ben Mankiewicz interviews writer-director Francis Ford Coppola about The Conversation. Host Jeff Goldsmith interviews co-writer-director Nicholas Stoller about Neighbors 2. Host Jeff Goldsmith interviews co-writer-director Scot Armstrong about Search Party. Host Jeff Goldsmith interviews screenwriter David Kajganich about A Bigger Splash. Host Jeff Goldsmith tunes in as director Spike Lee is interviewed at the 2015 TCM Film Festival about Malcolm X. Host Jeff Goldsmith interviews co-writer-director Mike Flanagan and co-writer-actor Kate Siegel about Hush. Host Jeff Goldsmith interviews writer-director Jeremy Saulnier about Green Room. Host Jeff Goldsmith interviews screenwriter Bryan Sipe about Demolition. 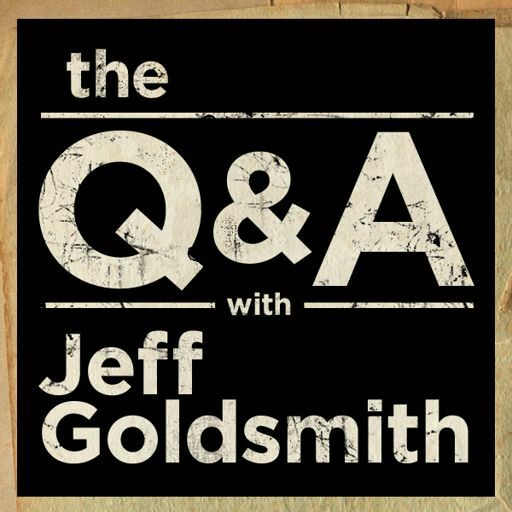 Host Jeff Goldsmith interviews screenwriter Max Landis about Mr. Right. Host Jeff Goldsmith interviews co-writers Phil Hay and Matt Manfredi along with director Karyn Kusama about The Invitation. Host Jeff Goldsmith interviews director John Lee about Pee-wee's Big Holiday. Host Jeff Goldsmith interviews writer-director Jeff Nichols about Midnight Special. Host Jeff Goldsmith interviews actor Dichen Lachman and debut writer-director Dennis Hauck about Too Late. Host Jeff Goldsmith interviews co-writer and star Melissa Rauch and her co-writer husband Winston about their feature co-writing debut - The Bronze. Host Jeff Goldsmith interviews director Dan Trachtenberg about his debut feature 10 Cloverfield Lane. Host Jeff Goldsmith interviews co-writer Sean Macaulay about his debut feature Eddie the Eagle. Host Jeff Goldsmith interviews director John Hillcoat about Triple 9. Host Jeff Goldsmith tunes into the 2016 WGA Awards. Host Jeff Goldsmith interviews co-writers Rhett Reese and Paul Wernick about Deadpool. Host Jeff Goldsmith interviews Oscar nominated and WGA & BAFTA award winning co-writer and director Tom McCarthy about Spotlight. Host Jeff Goldsmith interviews writer-director Amin Matalqa, Michelle Lang and Amanda Plummer about Strangely in Love. Host Jeff Goldsmith interviews screenwriter Matt Charman about Bridge of Spies. Host Jeff Goldsmith interviews screenwriter Phyllis Nagy about Carol. The Q&A with Jeff Goldsmith All rights reserved by Jeff Goldsmith and Unlikely Films, Inc.